A few years ago, I was on a plane that landed in the Salt Lake City right at sunset. It was only to change planes, but I will never forget how gorgeous and golden the mountains looked. Ever since then, I have wanted to explore this beautiful region, so when we got to the Salt Lake City area – I felt like our summer 2017 trip had officially begun. We stayed at Mountain Valley RV Resort , a really nice RV park in Heber. 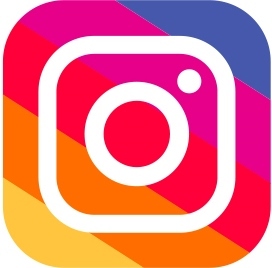 On the map above, it is on the far right edge. This place had cement pads, nice club house, and two pools. 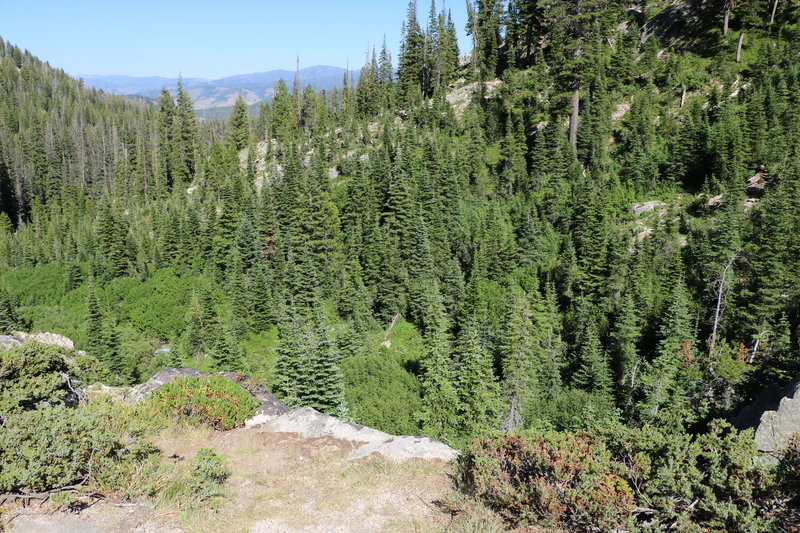 Heber was fairly close to everything we wanted to see, so it ended up being a good choice. It is only 23 minutes away from Park City where we picked up the Guardsman Pass Scenic Byway and drove to Big Cottonwood Canyon. 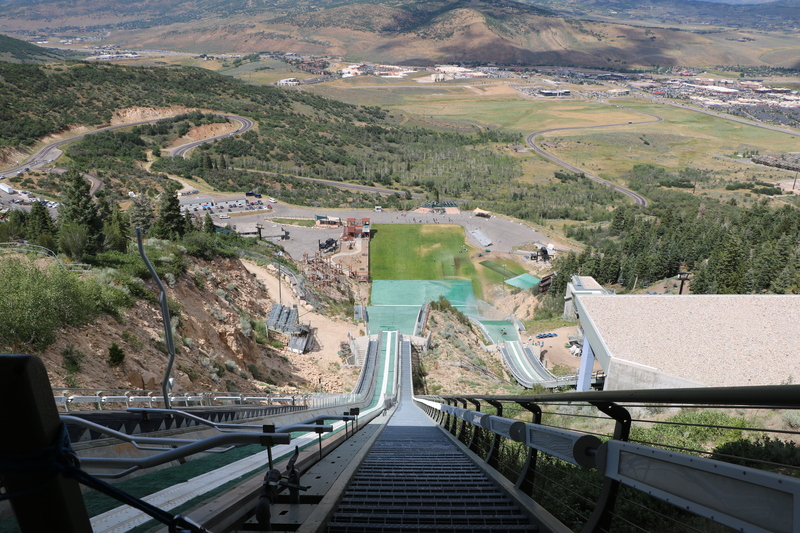 Park City is also the home of Utah Olympic Park which is definitely worth seeing! Driving south from Heber, Provo is just about a half hour away, and on the way there Sundance Mountain Resort was just a quick little side trip. 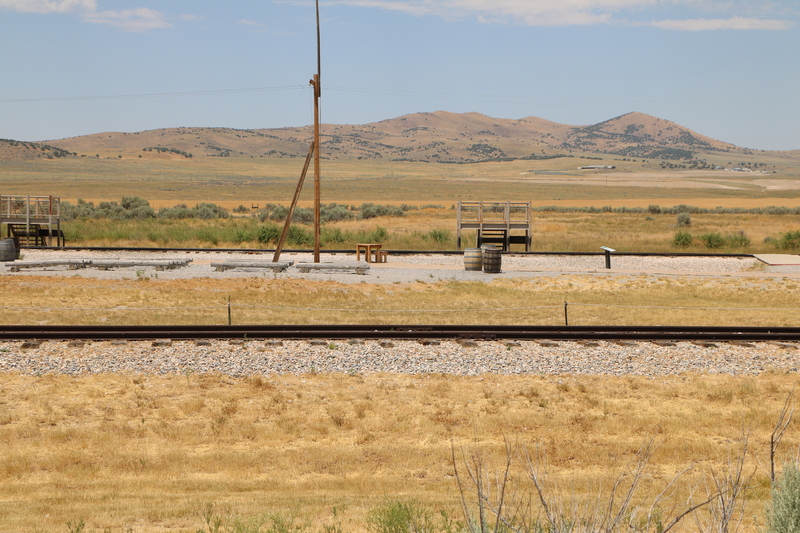 Also, Golden Spike National Historic Site is two hours north of Heber. 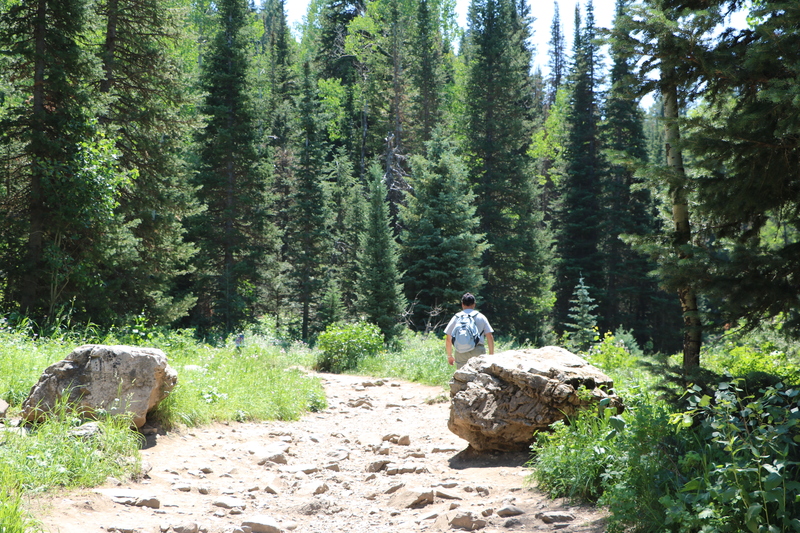 We found out Guardsman’s Pass only because I asked a local grocery store clerk how to get to Big Cottonwood Canyon. We took his advice and followed the signs in downtown Park City to get on it. I can see why they close it in winter; there is one small stretch where the road is really narrow and the drop off is very steep. It was pretty, but my knuckles were white as I held on to the wheel of the jeep. There is also a more conventional way to get to Big Cottonwood Canyon by taking I-215 to the 6200 South Canyons exit, then following the signs to the ski resorts by going east on U-152. 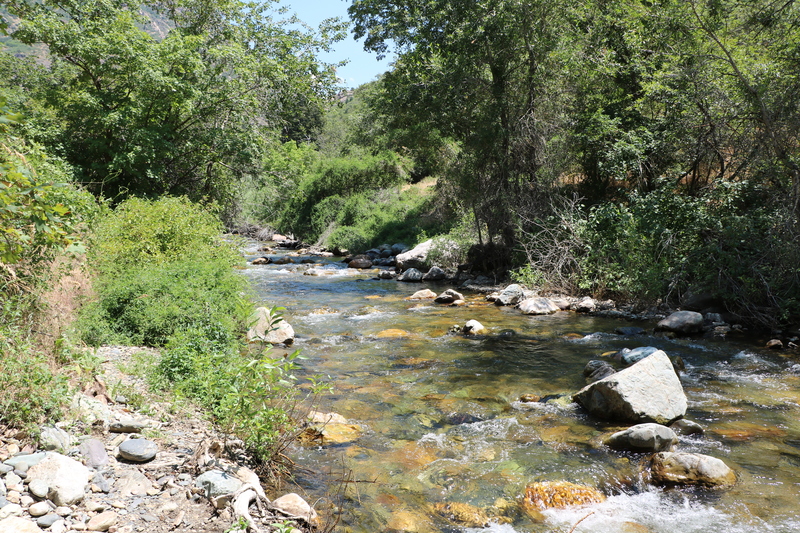 There is a drive that goes through the area and plenty of opportunities to park at trail heads or snap a photo. We stopped close to the site above and sat on the rocks to eat a lunch we had packed. After a couple of tries, we found the start if an easy hike, the Doughnut Falls Trail. 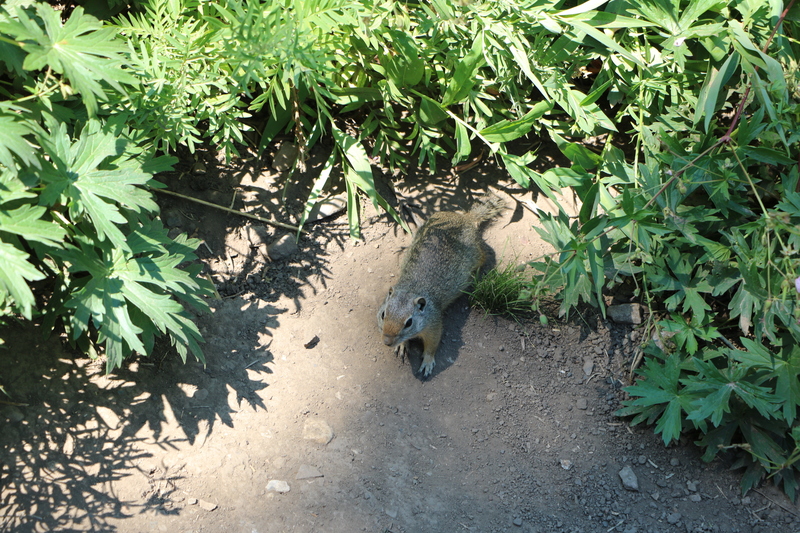 All along the way, we saw these friendly little ground squirrels; I couldn’t believe how close they got to us! 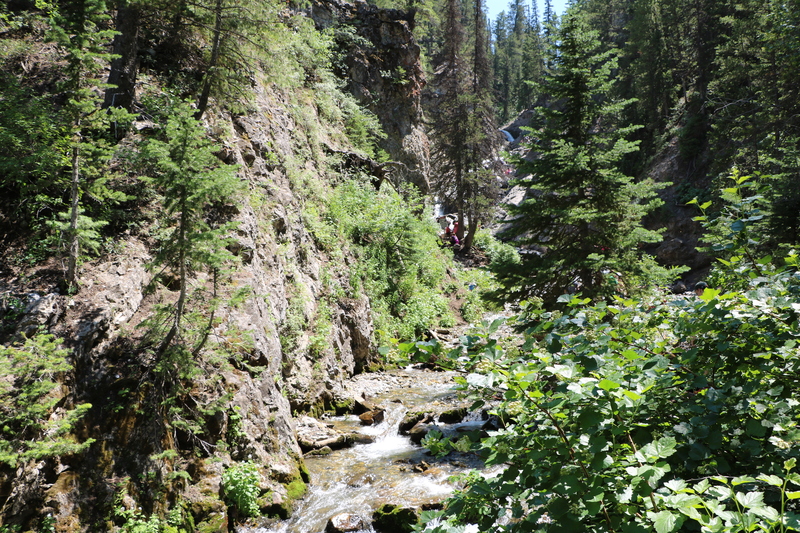 The trail stopped at a creek that led up to the falls. We also stopped because we didn’t want our hiking boots to get soaked, but lots of others with hiking “sandals” went for it. 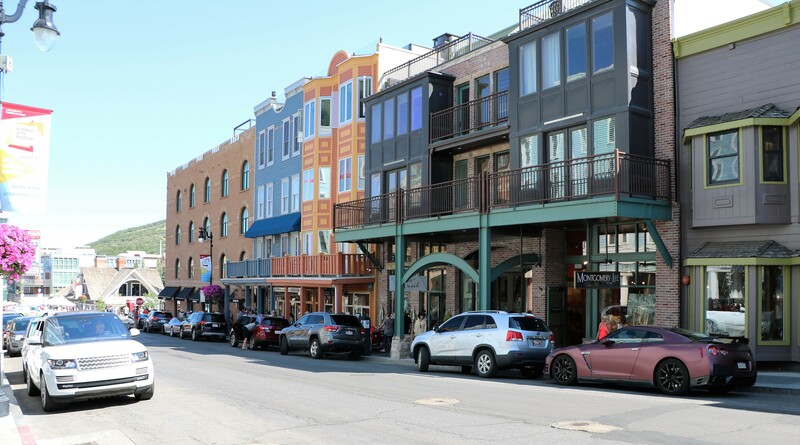 Park City is a very upscale, cute town that hosts the Sundance Film Festival every year. Everything outside of the older but well maintained downtown looks brand new. The restaurants are of the $$$$ variety! 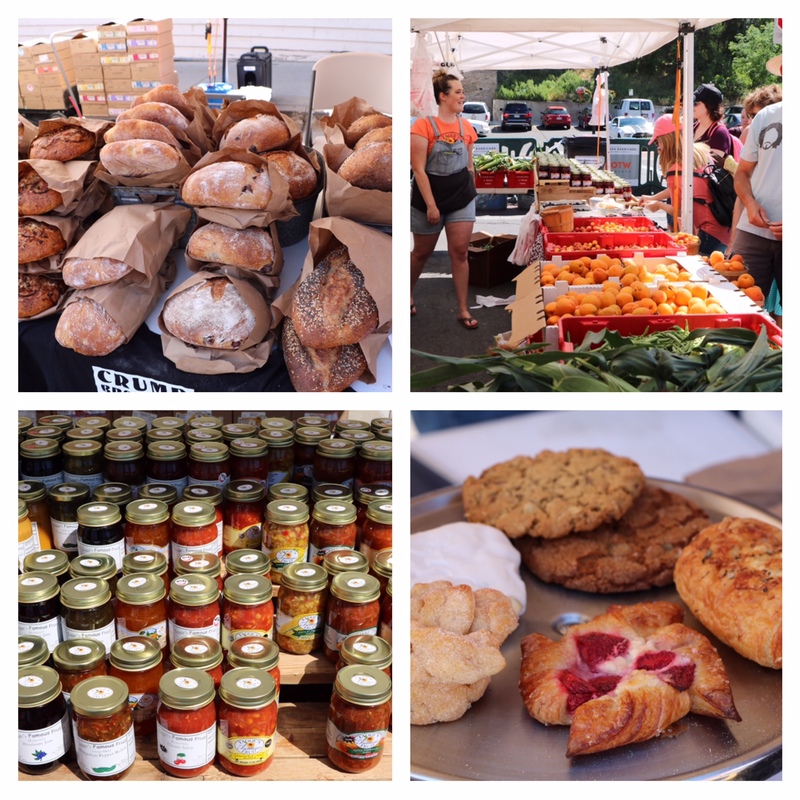 During the summer, they host a small farmer’s market every Sunday. Park City was the site of the 2002 Olympics. 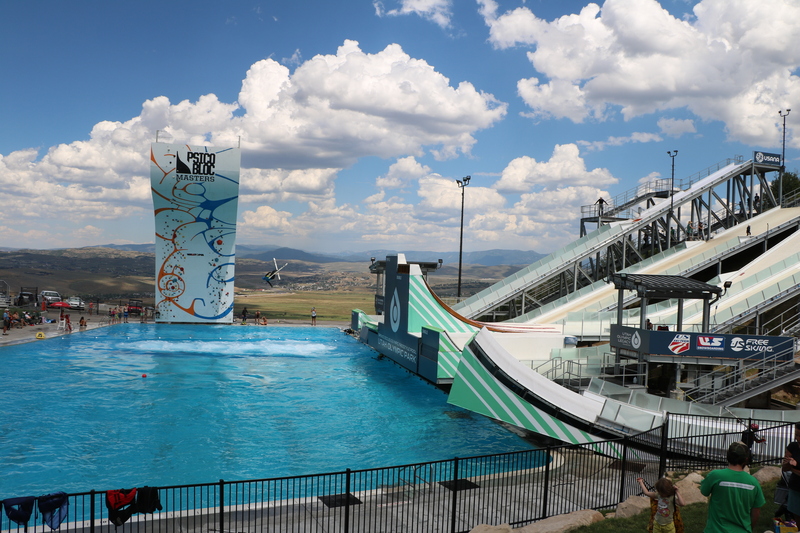 Now it is an Olympic training center as well as a tourist attraction. At the very end of the pool above is a competition climbing wall. Climbers can just let go and fall into the water. 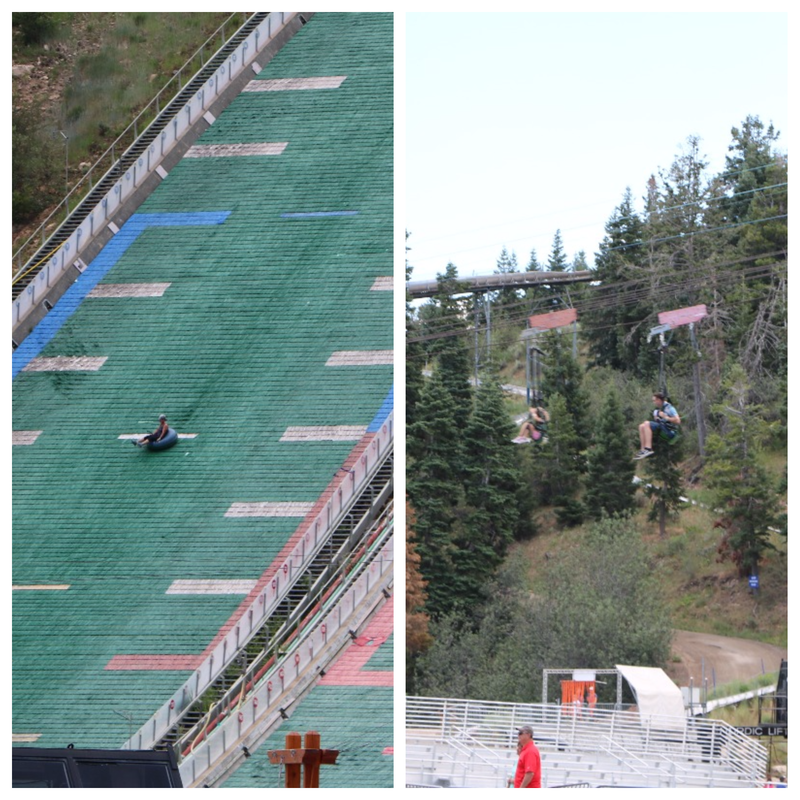 Skiers were also landing in the pool in the area that was all churned up to mimic the surface tension of snow. To the right of the climbing wall, a guy with crossed skis is mid-air. Above is the view from an actual ski jump. 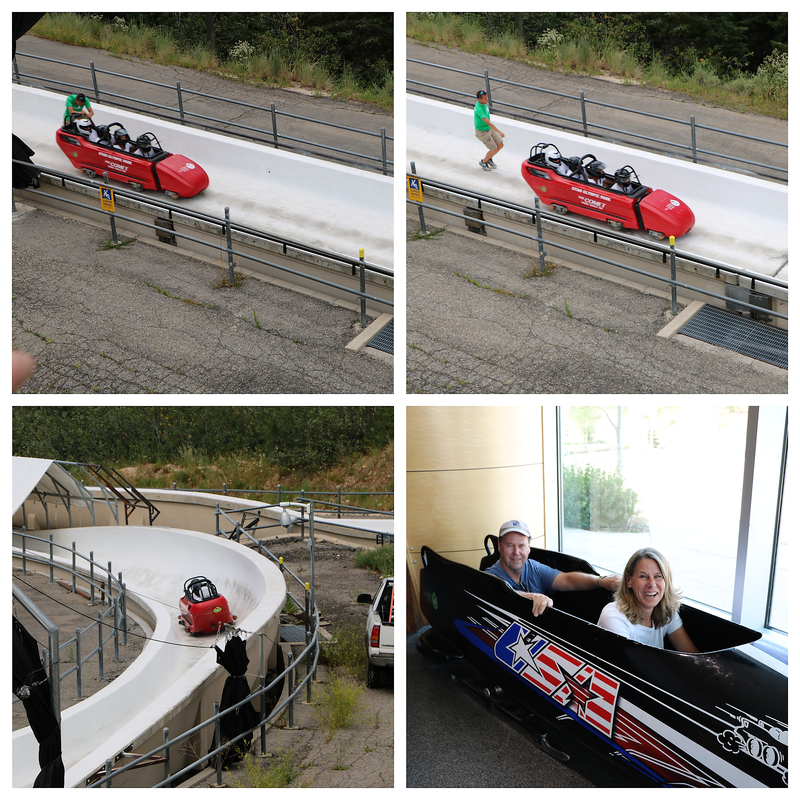 Visitors can ride a bobsled down the luge track; Roy and I were content to just to sit in one on display in the visitor’s center. The site has a museum full of memorabilia, but for thrill seekers there are several outdoor activities. During our time in the area we drove north into Salt Lake City and saw the impressive Mormon Church buildings as well as a large number of homeless people downtown. We also took a short trip south to Provo to see Brigham Young University. 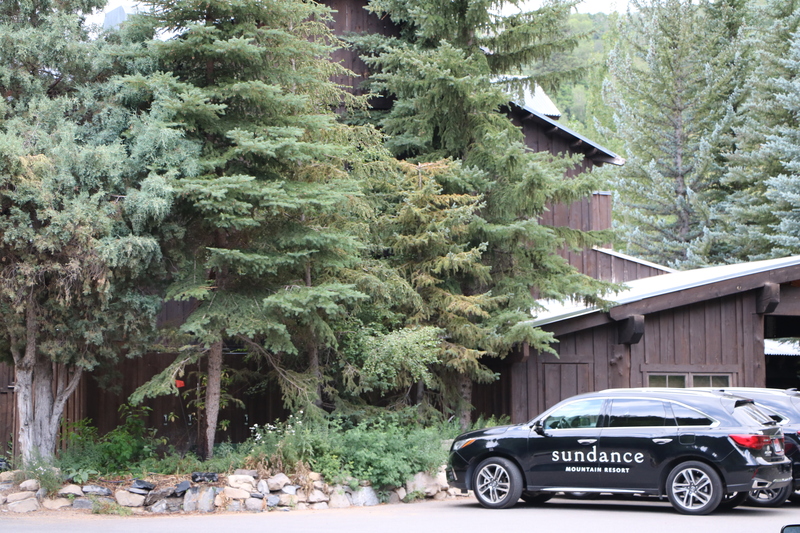 One interesting stop on the way to Provo was the Sundance Mountain Resort. The famous film festival that is held in Park City borrowed it’s name, but it isn’t held here. It had a couple charming places that looked like they would be a nice place to grab lunch or dinner. 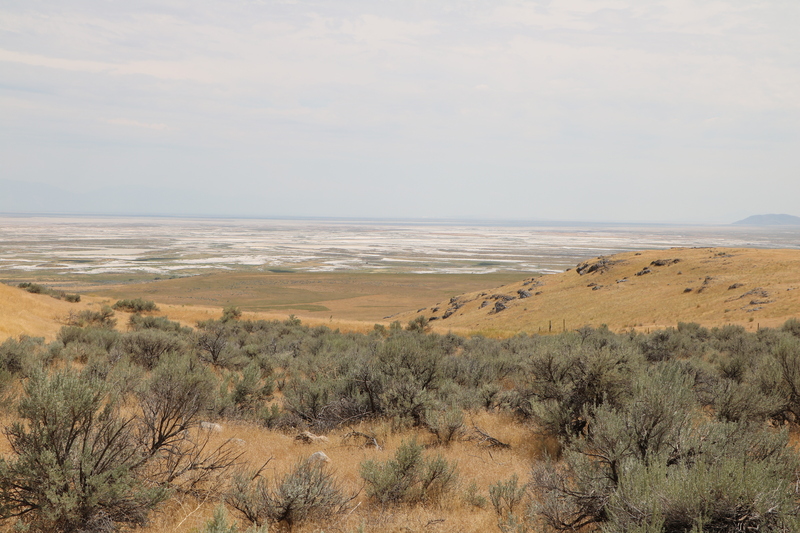 This was our view to our last excursion in the area, the Golden Spike National Historic Site. We really weren’t sure what we were seeing but we think it must have been evaporated salt fields from The Great Salt Lake. Anyone out there know? We looked up visiting The Great Salt Lake but everyone had commented on the swarms of flies and smell from decaying brine shrimp so at least for this trip, we decided to pass on it. 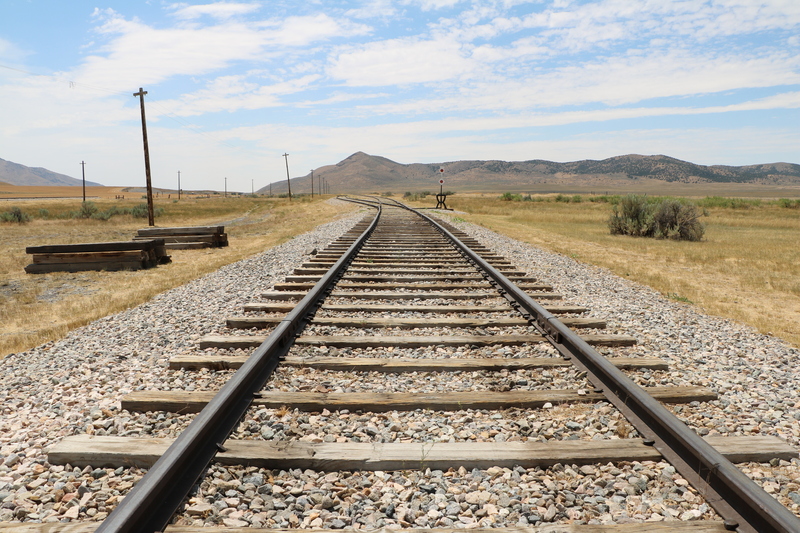 This is the site where the Central Pacific Railroad and the Union Pacific Railroad tracks met up on May 10th, 1869. 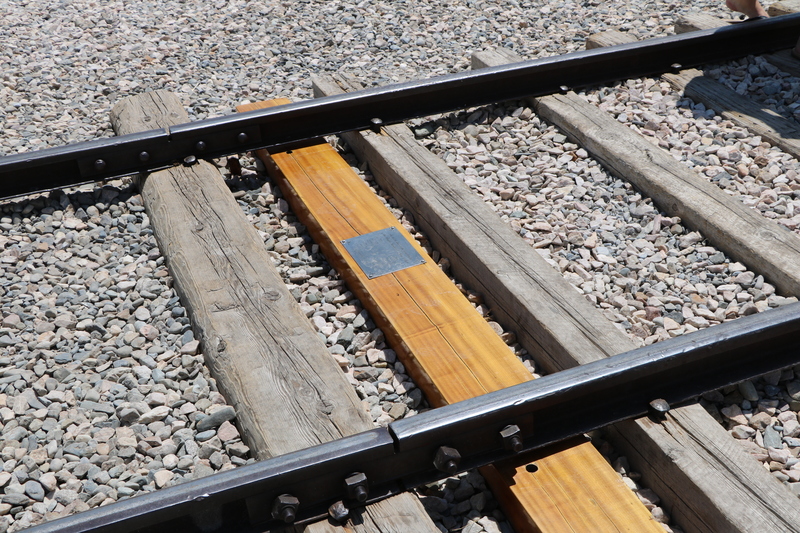 To commemorate that trains were finally able to travel from coast to coast, a golden spike was driven into the tracks. It was a huge media event at the time and many important people gathered on the viewing stands to witness it. In 1904, a new route was built that by passed the spot and in 1942 most of the rails were disassembled for the war effort. The last spike is now in the Stanford University Museum. There were also two silver spikes and another gold one hammered in that day as well. One of the silver ones is also in the Stanford University Museum and the other is in the Museum of the City of New York. 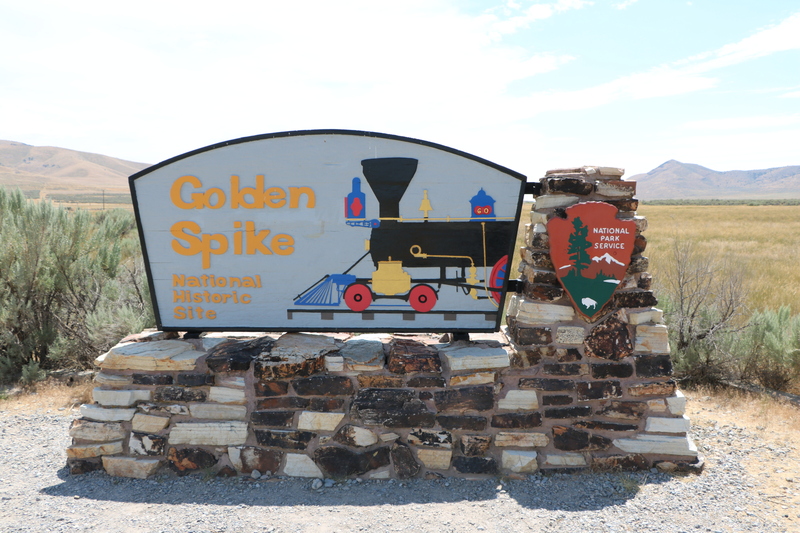 The whereabouts of the second golden spike is unknown. Many of the railroad workers were Chinese and Irish emigrants. 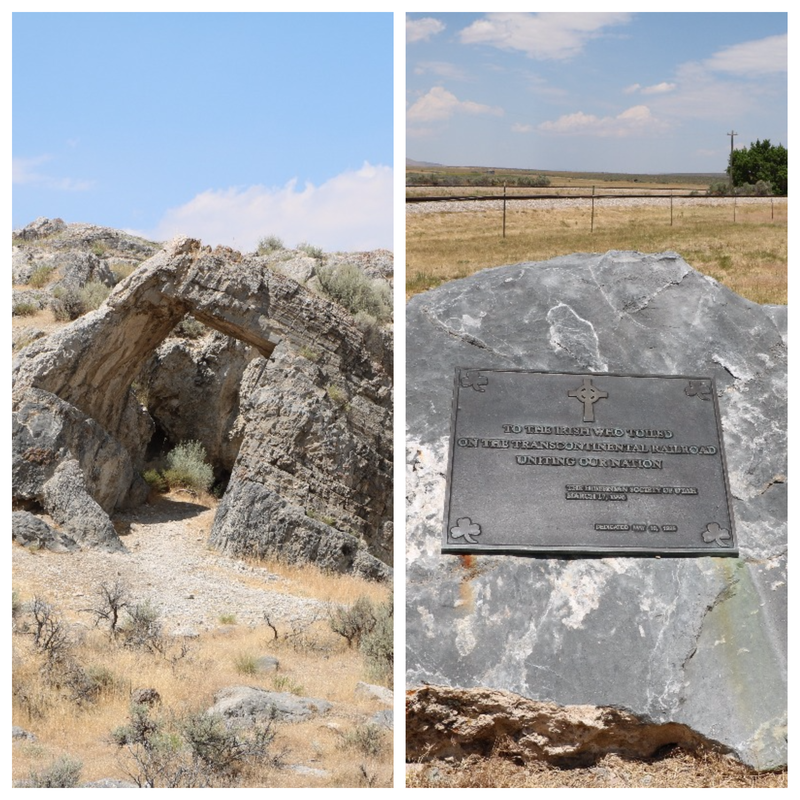 The Chinese Arch and the Irish Rock above honors the contributions they made. 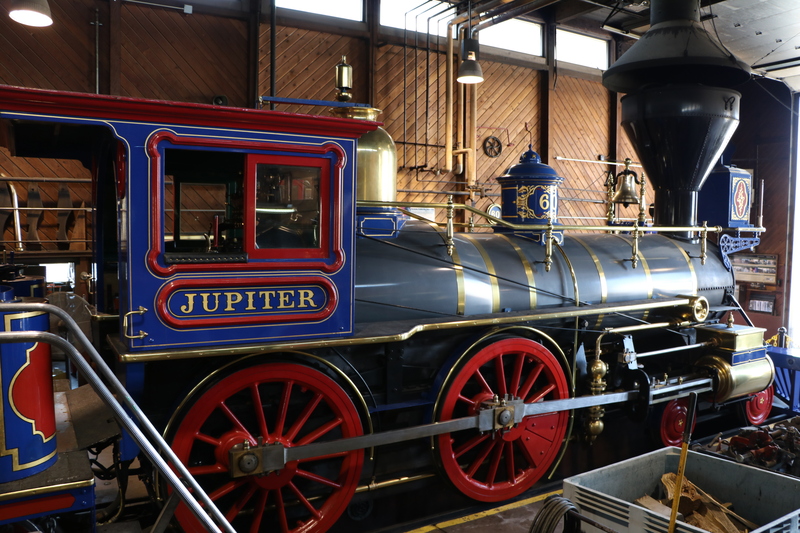 Housed just a short drive away from the visitor’s center are replicas of the two engines that met on the converging tracks where the spikes were driven. Look who I ran into at @slmagindy launch party for Sophisticated Giving Magazine: Mr. File! Awesome event! We loved biking and hiking around this #revolutionarywar site. This #cabin was built long after though - was home to a family with 11 kids!